There is a fever throughout the United States right now, that is about to reach epidemic proportions! 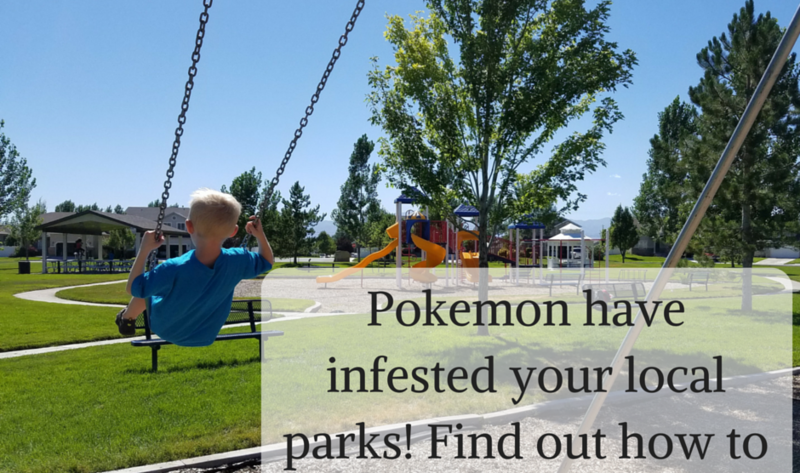 No, not the Zika virus, it’s Pokemon Go. I’m almost positive you have heard of this game by now… unless you have been living under a rock, or maybe you’ve been in a cave? Pokemon Go is a mobile app/game that you install on your phone. It is available for Android and iOS. I have been saying that it’s like geocaching, that goes to 11. 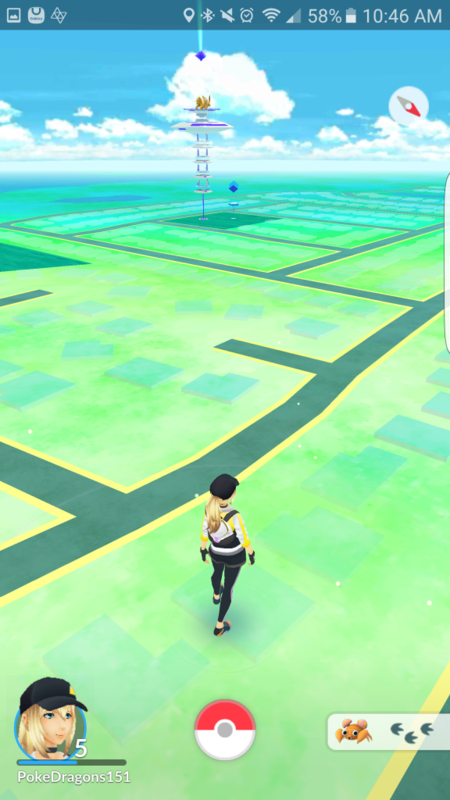 It uses the GPS on your phone to pinpoint your location on the map, and then shows you various “poke-stops” and “gyms” on the map for you to make your way to. Along the way it will tell you if there are Pokemon nearby so you can catch them! 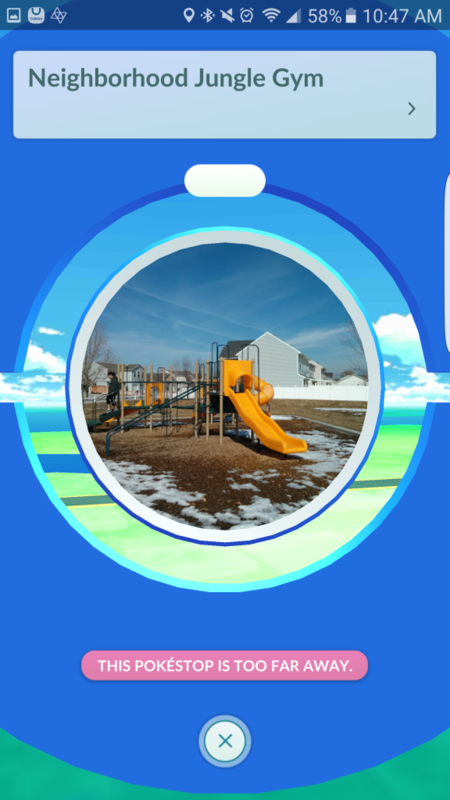 When you get to pokestops you can get various items to help you get further in the game. Obviously, it’s that you need to catch them all! Pokemon’s slogan has always been “Gotta Catch em All!” and this game is no different. 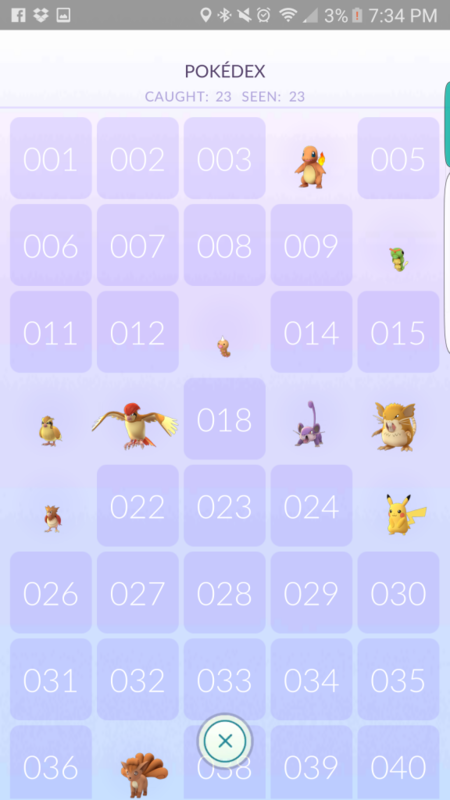 You can see a whole slew of Pokemon that you still need to get to complete your collection in the Pokedex. The other object is to level up your various pokemon so you can win battles at the gyms. Really though, it feels like a massive treasure hunt (as you go to the various pokestops and find the various pokemon throughout the city). It definitely feels a lot like geocaching, as I mentioned, but even better. First, you obviously need to download the game. Then you need to create your account. If you have a Google account you can use that to sign in. There were some issues people had about the permissions it was requesting for iOS users. They have already fixed the issue, and are waiting for Google to revoke the access it previously asked for, just FYI. You can also use a Pokemon.com trainer account. If you don’t already have one though… good luck creating one. 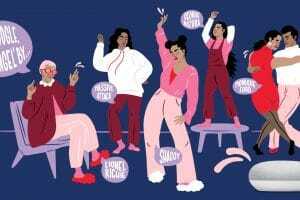 The servers are completely overwhelmed by the popularity, and creating accounts through that method has currently been shut down. We were lucky enough to get in on the first day before the BOOM! Like I said before, you follow the map to the various pokestops. Along the way Pokemon could appear nearby! What is great is that you can turn it on, and if you know where you are going, start walking. The phone will vibrate when a Pokemon is close, so you can pull you phone out and catch it. You don’t have to walk around staring at your phone. 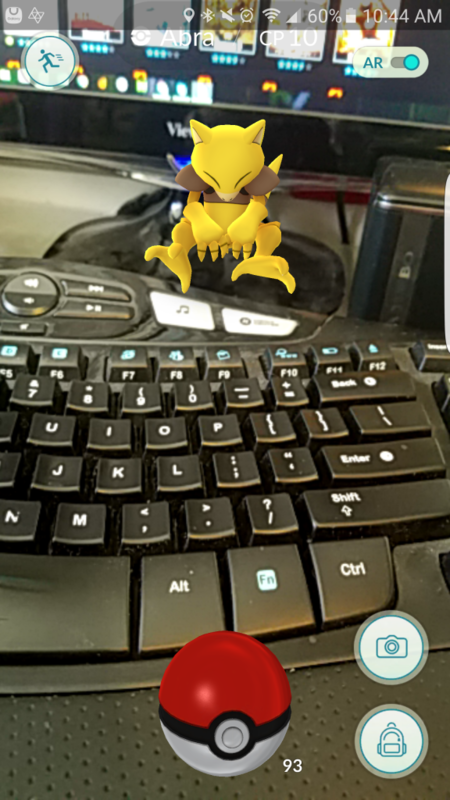 When you do get buzzed that a Pokemon is near you tap on it, and the background uses your camera to show you where the Pokemon is in the real world. Then you put your finger on the Pokeball and fling it towards the Pokemon, trying to hit it. If you aim it right, you will hit it and the Pokemon will try to escape capture! You need to wait a few seconds and then the Pokemon will either escape from the Pokeball, or you will have captured it! I have been capturing everything that comes in my path, even things I already have. If you have a double of something, you can click to look at your Pokemon collection, and then trade the duplicate in for some “candy” to feed the one you want to upgrade. I would trade in the one with the lower CP, since you want higher CP in the battles. You will also find eggs from time to time. There are a few different eggs, each with their own incubation periods. 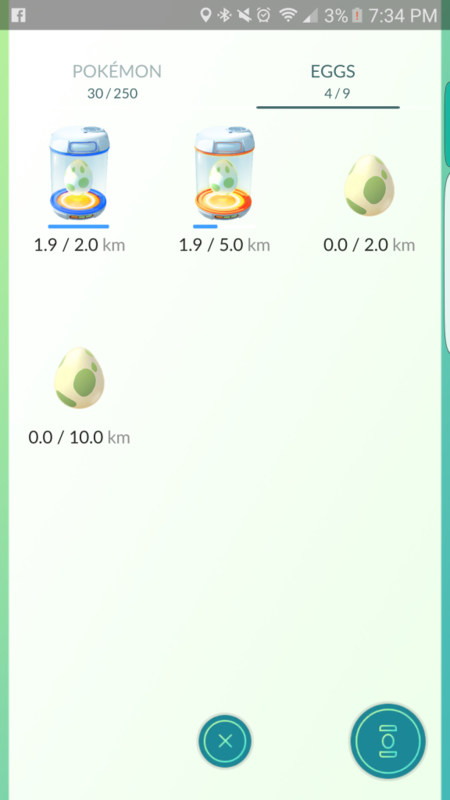 Some you will need to walk 2 km to hatch, some 5, some 10, etc. We haven’t found anything higher than 10 yet, but that doesn’t mean they don’t exist. A more rare Pokemon will hatch from the egg, as opposed to the ones you just find in the wild regularly. Once you find an egg, tap on your Pokeball and then tap on your Pokemon, swipe over to eggs. Tap on your egg and then put it in your incubator, then go for a walk! You start with one, but my daughter currently has 2 incubators. 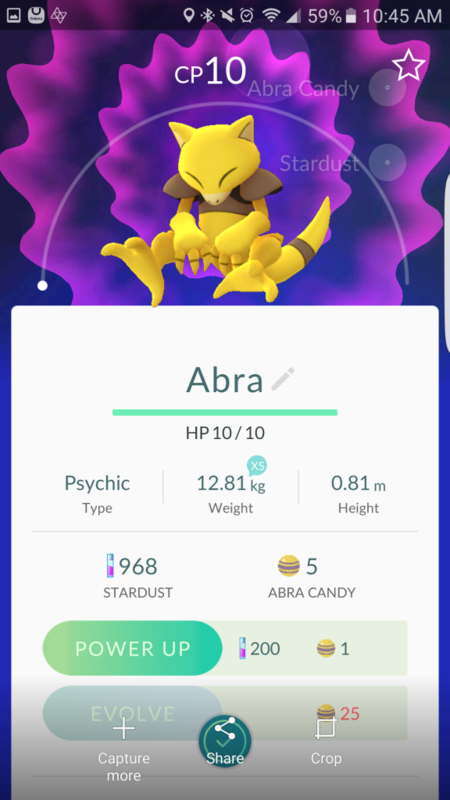 To upgrade or evolve your Pokemon you tap on the one you want to evolve, and if you have enough stardust and candy, you can level them up. 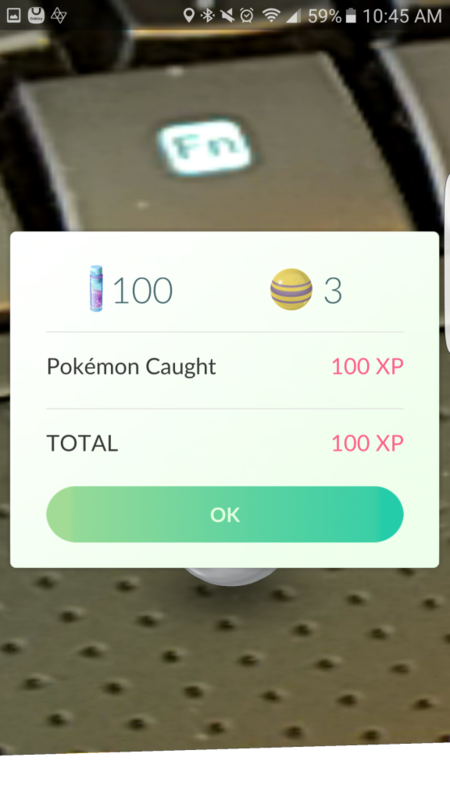 You gain xp to level your character up by playing the game, so the more pokestops you visit, the more Pokemon you catch, the higher your level will be. Once your Pokemon trainer reaches level 5 you can start going to the gym! 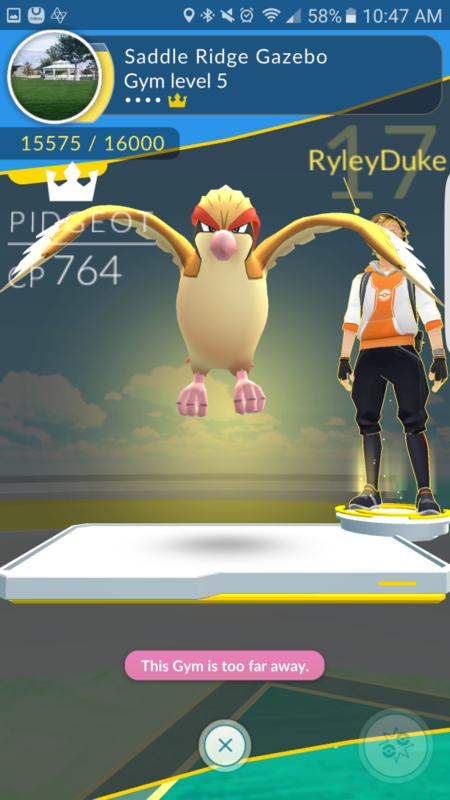 At the gym you will battle other users who have had a successful battle at that gym. If you beat them, you get to be someone that another user can battle. You don’t have to be present to participate in the battle, only if you are the instigator. One reason it has become SO incredibly popular is that it’s a great way to get the kids outside during the summer, AND it’s a great way to spend time together as a family! 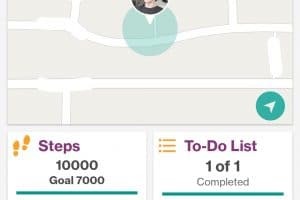 I mean, getting your 10000 steps in on Fitbit can be motivating… but walking 6 miles to hatch an egg is so much more motivating! My daughter even asked to join me on my runs in the morning so she could hatch eggs! I am constantly asked if we can go on walks now! Also, we had an activity with my church at a local park the other day, and all the kids were running around together chasing down Pokemon! They had so much fun! The bug has literally hit all ages and demographics. As we go out with our kids, we see all sorts of people out doing the same. They interact with each other and point out where various Pokemon are hiding. It’s awesome to see the kids interacting this way! Including my 15 year old niece, and 13 year old nephew! My daughter (who has been a Pokemon fan for a REALLY long time) even had her piano teacher asking her questions about how to do things in the game today! She knew that my daughter would be the ultimate resource, and she was SO right. After her lesson, her piano teacher told me that Maddie had helped her SO much! There are definitely a few things to worry about with the game though, so it’s not all sunshine and roses. 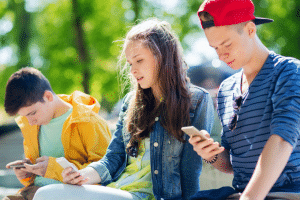 The first thing I warn my kids about is being aware of their surroundings. Making sure you look before going into the street, making sure you aren’t going onto private property, etc. I tell my kids to wait for the phone to buzz and then look at it to catch it. 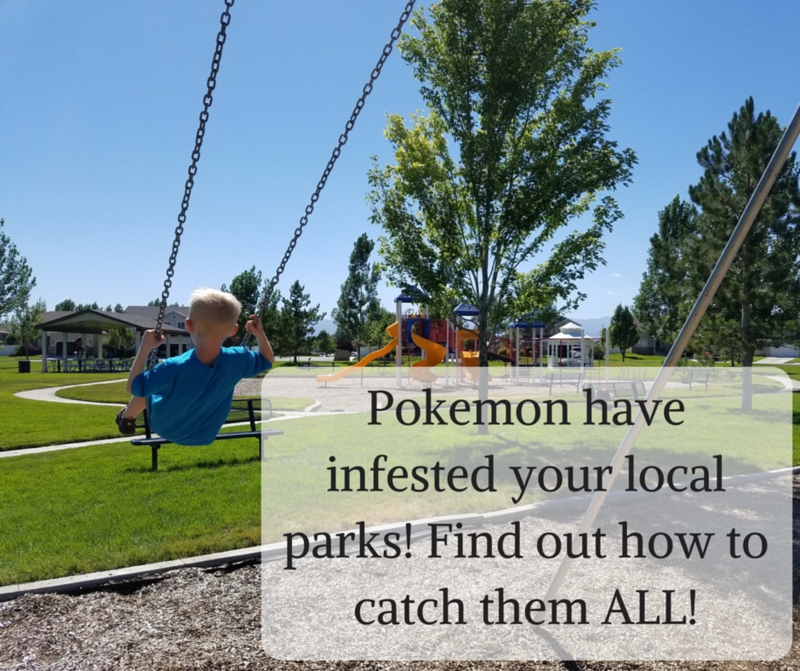 Luckily a lot of the Pokestops are at parks, so they can wander around a bit more freely trying to catch them. The other thing I warn my children about is following or talking to strangers. 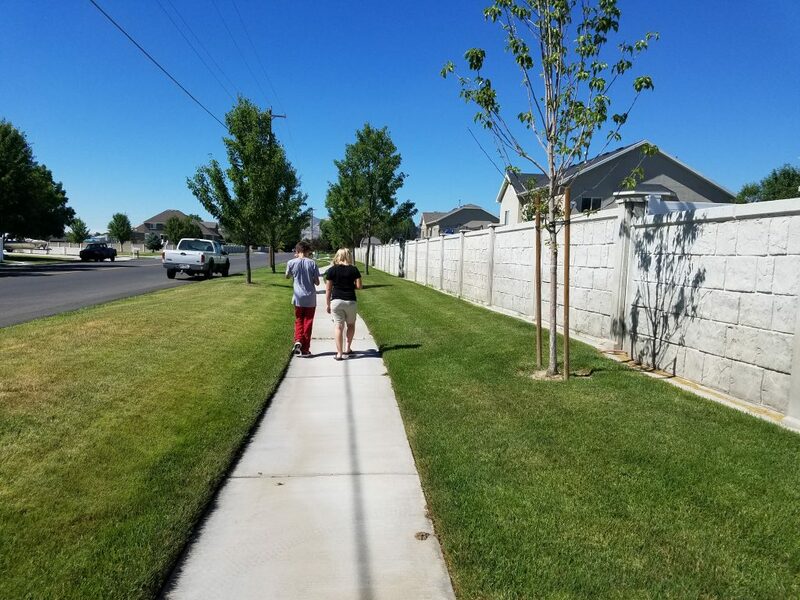 I don’t let my kids go all the way to the park by themselves, but they can look for Pokemon around our block. They know that if a stranger says “oh hey there is a rare Pokemon over this way, follow me!” that they aren’t allowed to go. While “stranger danger” wasn’t so much of a thing a while ago, as most kidnappings were carried about by a relative, it’s becoming more and more prominent again. So definitely make sure your kids are careful out there if they are old enough to go by themselves. Really though, adults are having just as much fun with this game as kids are, so why not join your kids on the hunt! If you have any specific questions about the game, feel free to comment here, or on Facebook or Twitter, or Instagram and I’ll be sure to help you out! 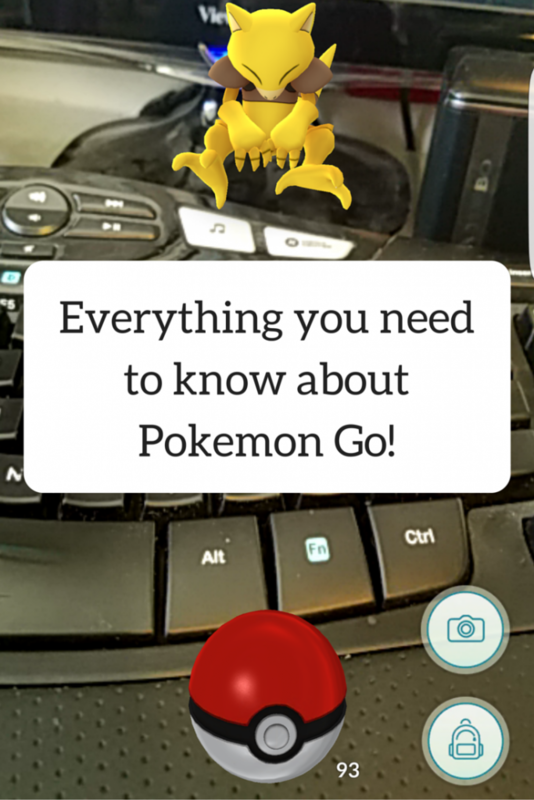 Now that you know the ins and outs of the game, go for it… and Catch Them ALL! !